When ‘Standing in the Way of Control’ became a huge success, the Gossip, then on their 3rd album were in a difficult situation. They’d always been a noisy, very political type of band that appealed mainly to the gay community. 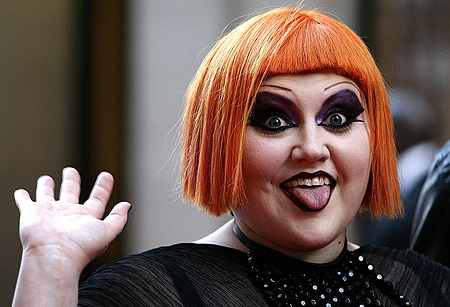 Suddenly they were thrust into the spotlight and the concept of Beth Ditto went wild. She was everywhere, trying to shock by stripping, making celebrity friends and becoming an unlikely hero of fashion magazines. More so than often happens with bands and frontwomen, it felt like The Gossip was entirely about Ditto and when their 4th album ‘Music For Men’ was released, no one really cared. The best thing Beth has done with her success though is make friends with Simian Mobile Disco. She was undoubtedly the star of their latest album with the struttastic ‘Cruel Intentions’ and now she’s announced details of an solo EP produced by SMD themselves. It’s out on Deconstruction (Columbia) in the New Year and this sampler, particularly ‘Do You Need Someone’ and’I Wrote The Book’ sound worthy of inclusion in a tenuous X Factor ‘Club Classics’ week. Now to look forward to the Nicola / Metronomy project.